BUCHAREST, Romania, 19-Sep-2018 — /EPR INTERNET NEWS/ — We would like to inform the market and our investors that today, 19 September 2018, the Company’s subsidiary, Digi Spain Telecom S.L.U. (“Digi Spain”) launched commercially its fixed broadband and fixed telephony services in Spain. These new services will be provided based on the wholesale indirect access NEBA agreement concluded with Telefonica in Spain, that will offer access to the broadband infrastructure of FTTH and ADSL of Telefonica. 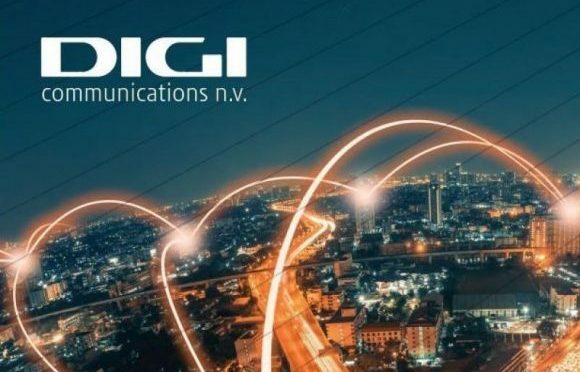 In a first phase, the Digi Spain fixed internet and fixed telephony services are made available to customers from the Community of Madrid, while further expansions are expected to other Spanish provinces where Digi Spain already enjoys a favourable penetration of its mobile services. PRAGUE, Czech Republic, May-1-2018 — /EuropaWire/ — ZOOM International, a leader in call recording, workforce optimization, and compliance software for the omnichannel contact center, today announced support for the European Union’s General Data Protection Regulation (GDPR). By making simplicity, speed, and cost-effectiveness the goals of the release, ZOOM has created a new industry standard—companies who need to support GDPR in any region of the world don’t have to purchase and implement more software. GDPR support is a standard part of the ZOOM 6.3 Suite. Companies in and outside the EU are taking immediate action to make applications compliant while also planning for larger, cross-department initiatives in parallel. For any company (in any country) managing EU citizen data, fines can be as much as €20 million or 4% of global annual revenues. 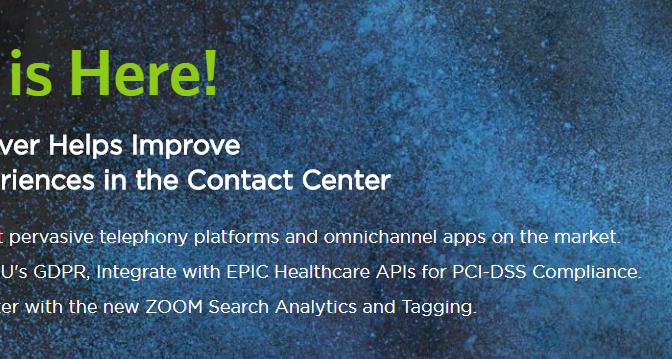 To add to the pressure, many WFO vendors force additional software purchases of complicated “compliance suites.” Unlike ZOOM, these companies add a burden, creating additional friction for their customers—forcing longer timelines for decisions, approval, and implementation. 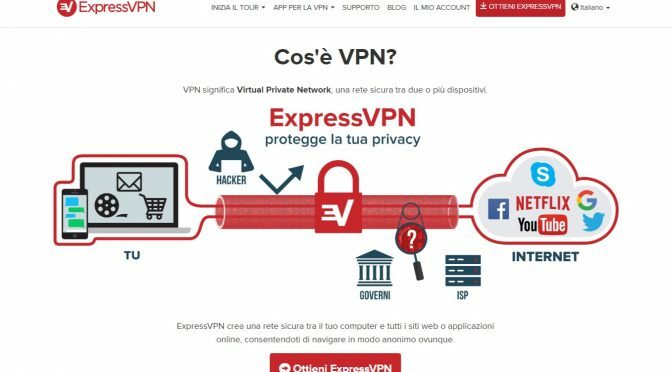 ExpressVPN si impegna a rendere la vita delle persone di tutto il mondo più semplice, grazie ad un utilizzo di internet privato, sicuro e libero. Plusnet, the home phone and broadband provider, has announced the launch of a new TV campaign, bringing to life its new fibre offering, which is eight times faster than copper broadband*. With fast cars and humorous characters, the advert portrays the new fast and affordable fibre broadband product. The new advert is a cross between the blockbuster movies ‘Cannonball Run’ and ‘Talladega Nights’, and uses a wide range of characters from an ice cream seller and learner driver, to main character Joe and his dad driving vehicles at high-speed. The advert highlights the benefits of superfast fibre optic broadband and that more people can get faster speeds with Plusnet Fibre, without paying the earth for it. This new advert will first appear on ITV during X Factor and the run up, until 23rd November. Plusnet has made a host of changes to its fibre broadband products including the introduction of new Plusnet Extra Fibre offering up to 76Mb/s with a 250GB usage allowance while upload speeds have been increased to up to 19.5Mb/s. Following a successful customer trial, 57 per cent of Plusnet trialists confirmed this improved fibre product made the internet more integral to their lifestyle than it was already. The new look product more than doubles the usage allowance of Plusnet Extra Fibre from 120GB to 250GB, increases speeds but reduces the cost. Additional changes to the fibre suite include increased upload speeds to Fibre Value, now up to 9.5Mb/s. Existing Plusnet Extra Fibre customers can upgrade to the new speeds and usage and take advantage of the lower cost via their online account or by calling 0800 432 0200. Continuing to win industry awards, Plusnet has won four uSwitch Broadband Awards, Best Fixed Consumer Broadband from ISPA and, for the third-time running, is recommended by Which?. Plusnet, the UK home phone and broadband supplier, has made a host of changes to its fibre broadband products including the introduction of new Plusnet Extra Fibre offering up to 76Mb/s with a 250GB usage allowance. Following a successful customer trial in which 57 per cent of Plusnet trialists confirmed this improved fibre product made the internet more integral to their lifestyle than it was already, Plusnet is delivering the best priced fibre broadband for the 76Mb/s download speeds on the market. Meanwhile, upload speeds have been increased to up to 19.5Mb/s. The new look product more than doubles the usage allowance of Plusnet Extra Fibre from 120GB to 250GB, increases speeds but reduces the cost by £1.48/month. Additional changes to the fibre suite include increased upload speeds to Fibre Value, now up to 9.5Mb/s. Existing Plusnet Extra Fibre customers can upgrade to the new speeds and usage and take advantage of the lower cost via their online account or by calling 0800 432 0200. More than half (51%) of the surveyed customer trialists said the new Plusnet Extra Fibre had resulted in them using the internet more, with 45% confirming they used their home broadband for more than five hours a day. The trialist said they were watching more on-demand TV (59%), undertaking more free streaming (51%) and more downloading (44%). Jamie Ford, Plusnet CEO said: “Customers’ internet habits have changed considerably over the last 12 months. People are using more bandwidth and services that demand faster speeds. Our new fibre products not only meet this demand but do so at a compelling price. With the improved broadband connection, 30% of customers on the recent trial said they are looking to purchase smart devices and computers, 28% of customers are looking to hardwire broadband throughout their home and 27% of customers are looking to purchase a broadband-enabled TV set. Plusnet continues to offer 24/7, free phone UK support and in the last year has set up specialist teams that focus on the most common customer concerns. Whether it is enabling someone to get the best connection speed or prevent latency on time sensitive services such as on-demand TV, Plusnet can now give specific and individual advice to ensure the best possible experience. * Up to 8 times faster: Speeds based on UK average standard (ADSL) broadband download speed (Ofcom Speed Report Aug 2012) vs. Plusnet Extra Fibre average. Not all lines in fibre enabled areas can support the fibre service. Customers can call Plusnet on 0808 100 1875 or visit www.plus.net/fibre-broadband to see if their line can. The Research: 267 customers who have been trialling Plusnet’s higher speed fibre products completed a questionnaire about their home broadband services during August 2012. Plusnet has welcomed the launch of BikeBoost, a revamped cycling programme which aims to encourage more Sheffield workers to cycle to work. The project – funded by Sheffield City Council through the Local Sustainable Transport fund – is part of a scheme based in the North East of the city and is being delivered jointly by Get Cycling, Pedal Ready and Heeley Development Trust. The scheme offers the free loan of a top-brand bike and cycle accessories, in order for people to try their hand at cycling without the commitment of purchasing a bike. At the end of the loan period, trialists can return the bike or look to purchase at a heavily discounted cost from the high street. In addition to the free loan, trialists can also enlist the help and support of cyclist instructors for bespoke road craft training; including accompaniment on the initial journeys to and from work and cycle maintenance. BikeBoost is part of Sheffield’s Cycleboost scheme. Sheffield City Council is funding the scheme as part of the 4.9 million pounds, Local Sustainable Transport Fund settlement won earlier this year by South Yorkshire from the Department for Transport. Cycleboost will run for at least three years and brings together Sheffield based companies Pedal Ready, who provide cycling road craft sessions and Recycle Bikes, who provide maintenance services to new and existing cyclists, along with Yorkshire based Get Cycling, who run the Bikeboost loan scheme. The scheme will roll out to other companies, organisations and community groups in the North East of the city this summer. Alentus announced today its partnership with GamaSec, a remote online website security scan service. GamaScan identifies web application vulnerabilities, provides real-time vital business solutions, and recommends optimally matched solutions. Clearly, Web applications are the weakest link in an organization’s security strategy. Web applications are more difficult to protect than traditional applications that reside behind a firewall. Web application security needs to be stringently checked on a regular basis using an automated Web application security scanner. GamaSec’s commercial solution, branded “GamaScan”, is a remote online web vulnerability-assessment service. delivered via SaaS (software-as-a-service) and is designed to identify security weaknesses in web applications. The GamaSec Application Vulnerability Scanner identifies application vulnerabilities (e.g. Cross Site Scripting (XSS), SQL injection, Code Inclusion etc.) as well as site exposure risks. It also ranks threat priority, produces highly graphical, intuitive HTML reports, and indicates site security posture by vulnerabilities and threats. The partnership agreement will enable Alentus Corporation to offer GamaSec’s website scan security services – which include blacklist monitoring and application vulnerability scanning services – to their shared web hosting and dedicated server clients. Alentus will use GamaSec’s private partner interface to deliver and manage the delivery of the entire range of GamaSec services. A new survey carried out by leading broadband comparison site Compare Broadband has found that house hunters consider a reliable, fast home broadband connection to be high on their list of priorities. The site polled users and found that 78 percent of 300 respondents factor broadband access into the equation when they are looking into renting or buying a new property. As the National Broadband Network (NBN) goes on connecting all the regions of Australia, the variance between types of internet connectivity available could well increase. Some places will receive speeds of up to 100Mbps and others will remain tied to mobile broadband or basic ADSL. Specialist comparison websites like Compare Broadband are able to screen regions and addresses for quality of ADSL connection on a preliminary basis – though this is not guarantee of service. 1. An area’s name or reputation does not guarantee quality broadband connection. 2. Speak to previous tenants or occupiers about their own internet connection or provider. 4. Greenfield developments advertised as fibre optic ready can deliver broadband connectivity at speeds of up to 100Mbps. 5. NBN offers a map online to see which areas of the country are in line for next generation broadband rollout. Plusnet has revealed that a staggering eight out of 10 (82%) mums rely on the internet for parental advice. According to the survey* carried out by home phone and business broadband company, two in five (41%) mums say they do their weekly shop online to save time, with almost the same amount again (40%) banking online to avoid long in-branch queues. A massive 99% of mums spend up to four hours of their own ‘me time’ online each day. The new generation of mothers are an internet-savvy audience with more than half (51%) researching their children’s homework online. Asking more than 3,300 mums, the study found that a quarter of mothers consider themselves as “networking mothers” who use online forums and other social media to get parenting advice. It is clear the internet has a big part to play in motherhood with well over a third of these networking mums (39%) finding it a vital resource when their child is ill and they need to look up symptoms. It is not just parenting issues that these networking mums are clued up on, as half of those asked also liked the fact that while housebound with the kids, they can seek “adult conversation” from peers online through sites such as Twitter and Facebook. The study conducted by Plusnet among the netmums community, also asked about favourite ‘mum moments’ in film and TV. Mother’s instincts struck a chord with this audience, with nearly a third (31%) voting for the most touching moment as that in the 2003 movie “Cheaper by the Dozen”, when Kate Baker, (played by actress Bonnie Hunt), sacrifices her career to care for her children at home. Meanwhile, Rachel Green from sitcom ‘Friends’ was voted the most admired mum character with more than a third (35%) of the results. An increasing number of pensioners are turning to freelance work in order to boost their pension pots, according to research carried out by Future Foundation. The study conducted for pension provider Friends Life suggests that enterprising pensioners take freelance jobs as consultants, set up as online traders and establish their own businesses, in order to supplement their retirement savings. Researchers tagged the group ‘wearies’ (working, entrepreneurial and active retirees), saying that due to inadequate savings, by 2020 many people who are in their seventies will simply not be able to afford to completely give up work. Just over half of the people surveyed who had already retired said they would be prepared to work part-time if it meant they could boost their pension pot, with three-quarters of those yet to retire saying they would be willing to do the same. However, Mr. Posen suggested that many of those made redundant would eventually find new work as the economy adjusts towards more productive industries. He also insisted that the financial crisis had not permanently damaged Britain’s economy, and that it could resume growth further down the line. It’s thanks to the capabilities of the internet that continually aids freelancers in finding work, especially the many outsourcing websites. One outsourcing website in particular, called OutsourceMyProject, has seen a noticeable increase in the amount of freelancers bidding on the projects posted on the website, by many different companies. OutsourceMyProject is a UK based platform that’s been created to open up the global market place for professional services across a wide range of sectors. To date, the concept of outsourcing professional services has been limited to large companies and organisations. However, OutsourceMyProject enables small and medium sized organisations, entrepreneurs and individuals to successfully outsource business both at home and abroad too. Plusnet, the home phone and broadband specialist, has published a new report revealing that the internet will become ubiquitous in many people’s lives, transforming the way people shop, eat and run their homes. The award-winning super-fast broadband provider renowned for bringing value to its customers, commissioned the research to celebrate its 15th birthday. The detailed research, which was conducted by globally renowned futurist think tank, Centre for Future Studies, shows that the internet of 15 years’ time will become the internet of services. Written by a team headed by Dr. Frank Shaw, who has been described by Time Magazine as one of the 10 most influential thinkers in the world, the report unveils that the internet will include everything from smart appliances that talk to each other to clothes that monitor health; from cars that can’t crash to mobile technologies and cloud platforms that run businesses. However these benefits will not be felt by all of society. There are currently still 8.43 million adults in the UK who have never used the internet and it is estimated that digitally challenged households face £560* of extra costs per year as a result of missing out on online discounts and opportunities. With people already using the internet for activities including shopping, banking, study, job application and government services, the availability and affordable pricing ofbroadband will be crucial in terms of household finances and also social mobility. Providing some of the best value home phone and broadband packages available in the UK, Plusnet is committed to enabling people to experience the benefits of being online; something which is going to become increasingly important in the future. The research shows that while the internet is the most fundamental life changing event since the Industrial Revolution the public is, incredibly, only predicted to be 15 per cent of the way through it and that future developments will have radical life enhancing benefits, therefore placing even greater importance on providing access to the internet at an affordable price. The home internet of the future will change the way people run their homes, how they enjoy entertainment, the way they work, the way they shop and the way they communicate and, as a result, place even greater emphasis on the importance of being able to access affordable internet. Edulabs Learning Solutions Ltd., a leading Thai-based innovator of 21st Century electronic teaching systems (www.edulabsglobal.com), has received overwhelmingly positive daily responses and a higher-than-anticipated demand for its “must attend” Webinar series. The Webinar www.edulabsglobal.com/webinar) cover CRUCIAL considerations that buyers of tablets for educational institutions MUST understand before buying. The Webinars became immediately over-subscribed at launch, and so Edulabs Global has decided to re-launch the Webinar series with new times and dates in order to accommodate the increased interest and demand for registered seats. Schools around the world are starting to proactively adopt mobile learning programs and initiatives, establish or upgrade their broadband infrastructures and also replace traditional textbooks with digital textbooks at an unprecedented rate. Top online learning institutions such as www.learning.com and www.epals.com have created eLearning material which has revolutionized the global education industry. It is estimated by respected research organizations that in the K-12 (Primary and Secondary) educational sector alone, there will be a need for in excess of 200 million Tablet computers and over 400 million Smartphones within the next 3-5 years. This is not including the huge need and demand in developing countries and underdeveloped areas of countries such as China, India and Brazil, which affects hundreds of millions of school-aged children and teens. Explosion in educational demand for eLearning solutions. In today’s interconnected and inter-dependent globalized world, the global community at large has finally awoken to the fact that having billions of uneducated and unskilled people, especially youth, affects the entire world, and is subsequently striving more proactively than ever to improve the state of education amongst youths. Edulabs Global feels that all of these additional areas are poised to soon explode in terms of demand. The countries of Africa, China, India, Brazil and many ASEAN countries have combined populations in excess of 3 billion people, of which hundreds of millions of youth desperately need much improved and affordable educational solutions. Subsequently, more digital educational content and applications are becoming available at affordable prices and more and more verifiable studies are proving the value of digital web-based education. This in turn prompts more countries, especially developing counties, to get wired with hi-speed infrastructures that are finally including even the most remote and previously unwired areas of these countries. The new Webinar times and dates will be announced via our website and a formal press release during the week of February 20th, 2012. In addition to the impressive list of guest presenters and speakers that are already confirmed to attend, Edulabs is also in the process of adding several additional Tablet and Smartphone, Cyber-safety, Edu-tech and Digital Contents and Applications (including Digital Textbooks) companies that wish to participate in the Webinar series. Please stay tuned to the Edulabs web site and news wires for upcoming announcements regarding the new times and dates of the Webinar series, and take part in these“cannot miss” exciting events! A pressure group that aims to promote the interests of small businesses in the UK has launched a campaign designed to celebrate the country’s entrepreneurs. The Federation of Small Business (FSB) has said it wants to celebrate “real life entrepreneurs” who take the risk of following an idea, start up on their own and work to grow a business. Starting last Monday, a roadshow commenced visiting various locations across England to provide advice and networking support to independent workers. As part of the events, serial entrepreneur and regular Financial Times columnist Mike Southon will speak about the main themes of the FSB’s manifesto. Key areas include reducing and simplifying tax issues faced by small businesses, taking a new approach to regulation, and opening up export markets. In addition to the comments from the FSB, David Cameron has praised the spirit of entrepreneurs who are brave enough to follow their dreams to become freelance workers and start their own business. Giving a speech last month in central London on responsible capitalism, the prime minister said that more than anything he admired “the bravery of those who turn their back on the security of a regular wage to follow their dreams and start a company”, adding that he believed the UK was “fizzing with business potential”. Outsourcing to freelance workers is a concept that has made it possible for many entrepreneurs to successfully get their ideas off the ground and established as profitable businesses. Official figures released last month revealed a significant increase in the number of people who have chosen to become self-employed and take on freelance projects. More than 100,000 people took on self-employed status during the period, taking the total number of independent workers in the UK up to 4.2 million, according to a report by the BBC. A report published by the Chartered Institute of Personnel and Development (CIPD) yesterday said people from a much wider array of backgrounds and occupations had now turned to self-employment. However, Dr John Philpott, chief economic adviser at the CIPD, suggested many would move back to full-time employment if the jobs were available. Loren Holland went on to say: “The freelance sector is booming at present, with a wealth of skilled and experienced workers available on flexible and affordable contracts. Entrepreneurs and start up businesses are tapping into the freelance market and this is clearly benefiting the economy”. Is A Double Dip Recession Around The Corner? The looming possibility of a double dip recession is likely to see more UK businesses striving to cut costs in 2012, with figures recently released by the Office for National Statistics suggesting the UK could be heading for its first double dip recession since 1975. The British economy shrank by 0.2% during the three months to December and the Bank of England has warned that the private sector is planning job cuts. The accountancy firm Deloitte claimed that half of all chief financial officers in the UK see cutting costs as a priority over the next 12 months. The growing prospect of a double dip recession is set to cement this view, with more businesses taking a proactive approach by turning to freelancers and switching to outsourcing in an attempt to reduce overheads. Chairman of the National Outsourcing Association, Martyn Hart, said recently that as well as the upfront cost savings, outsourcing jobs such as copywriting and web design to specialists allows firms to concentrate on their core business. “It is better to focus on things like customer satisfaction, outmaneuvering the competition and securing new business. Outsourcing frees up resources to be the best you can be, in the business you are truly in,” he said. These poor economic growth figures have resulted in many businesses gearing up for a likely double dip recession, keen to cut unnecessary head count and overheads. Many companies are achieving this through outsourcing particular business functions to freelancers, who charge a far lower price when compared with what can be found on the high street or through employing an internal resource. There are several online outsourcing marketplaces that offer a hassle free outsourcing service, where freelancers can sign up and offer their services to companies who post details of the work they need completing. Helping businesses to be more robust against the looming recession, OutsourceMyProject is an example of an outsourcing website that is reaping the benefits of the outsourcing boom, with over £1 million worth of projects posted in the past twelve months. On January 31, 2012 Revel Systems was officially announced as the winner of the Business iPad App of the Year Award. This weekend at Macworld | iWorld, it was clear early on that the Best Business iPad App awards came down to two remarkable companies: Square, led by Jack Dorsey, and Revel Systems, led by female entrepreneur Lisa Falzone. Both of the nominees were a hit with the crowd, and both were in the payment industry, which is the fastest-moving market for iPad apps. Even though voters were presented with an impressive field of nominees, the battle was clearly dominated by these two competitors. While competition was fierce between Square and Revel, here’s a breakdown of the vote: First of all, users chose Revel Systems as the most useful business iPad app. Revel was also found to help with a wider array of business functions, with seven to Square’s four. Square was found to have over 100,000 users, while Revel Systems has fewer than 100,000. As far as which offers the simplest user interface, both companies were tied. Finally, users chose Revel Systems as the company with the best customer support. In the end, Macworld users declared Revel Systems iPad POS the winner. Lisa Falzone, CEO and co-founder of Revel Systems, told iPad Biz Apps today that “Revel is honored to have won such an award, and thanks all of the voters at Macworld | iWorld for voting for them.” A wide range of powerful apps were represented, but Revel’s sophisticated level of functionality and wide range of applications led to its selection as the best iPad business app. Even though Square has been nominated for a Crunchies award, and has over 100,000 customers, users found that it only supplies a payment app. On the other hand, Revel Systems offers a fully functional Point of Sale system to manage every task that store owners encounter on a daily basis. This can explain why Revel has landed deals with many heavy-hitters like Popeye’s Chicken in Georgia (popeyes.com), Illy Coffee in San Francisco (illy.com), U-sushi in San Francisco (u-sushi.com), Camille’s Sidewalk Café in Oklahoma (www.camillescafe.com), and other big franchises. On the other hand, Square’s clientele is largely restricted to businesses that only require a few simple operations, including farmers’ markets, taxi cabs, and street vendors. Now that the competition is over, Ms. Falzone is back to leading Revel Systems to the top of the Point of Sale marketplace. She has raised $3.7 million in her “A” round of funding last year and is gearing up for her “B” round. The recent victory of Revel Systems has cemented Ms. Falzone’s place among today’s top women entrepreneurs, and she looks forward to the future of what Revel Systems will accomplish. Moving forward, the company hopes to facilitate growth through its open API, which allows all companies to integrate into Revel—creating new opportunities for local commerce to thrive into the future. With an increase in UK unemployment figures last week, it is good to know that as a counter measure the number of self-employed workers is on the increase, showing the determination of those who are unemployed to survive, while also illustrating the fact that earning an income is easier than most people think. With many companies increasingly having to cut fixed headcount numbers through redundancies, many of those who find themselves unemployed are seeking out their own work, opting for self-employment and freelancing instead. Official figures released last week by the Office for National Statistics revealed a significant increase in the number of people who have chosen to become self-employed and take on freelance projects over the past few months; more than 100,000 people took on self-employed status during this period of time, taking the total number of independent workers in the UK to 4.2 million, according to a report by the BBC. A separate report published by the Chartered Institute of Personnel and Development (CIPD) also stated that people from a much wider array of backgrounds and occupations had now turned to self-employment than in previous years. Online marketplaces allow freelancers to sign up and search for work, which is advertised by companies seeking to outsource business functions to freelancers rather than employee fixed in-house teams. Last year was a particularly buoyant year for freelance marketplaces, as both the demand for freelance services increased , as companies look for flexible staffing solutions, coupled with an increase in the supply of freelancers operating within the UK. Outsourcing business functions to freelancers has been a lifesaver for many companies in 2011, with this trend towards outsourcing looking likely to continue in 2012. One outsourcing website in particular that has reaped the benefits of this increase in demand is OutsourceMyProject. With over £1 million worth of projects posted onto the site over the past 12 months, the business is looking forward to what 2012 will bring for them. Further figures released last week by the Office for National Statistics showed that unemployment has continued to increase, especially in the three months to November, where it reached a total of 2.7 million. The UK’s unemployment rate stood at 8.4% of the economically active population by the start of November, up 0.3% during the quarter and the highest its been since 1995. The number of jobless young people between the ages of 16 and 24 also hit another record high, with there now being over 1 million people in this age group out of work. The New Year has already brought about a noticeable increase in companies exploring the world of mobile app development, which is becoming an ever increasing way businesses connect with their customers. This growing popularity of smartphones, and Android devices in particular, is undeniable, with data released last week by US web analytics firm Chitika Analytics revealing that in North America Android devices overtook Apple iOS handsets when it came to mobile web browsing, and is therefore one of the most popular operating systems that people buy into. Ever since the very first smartphone came into the marketplace, there has always been criticism over the lack of available apps. However, with the mobile app development industry growing and technology ever-advancing, more apps are being launched with every coming week. Companies are now being forced to wonder what benefits they can reap by launching their own app. The amount of interest developers have had in relation to mobile apps over the last few months is also as a result of an increasing number of businesses investing in new tablet computers. A new survey has recently claimed that it is not just personal use which is fueling the tablet market, as more companies than ever before will invest in several tablet devices for their workplace during 2012. According to the NPD Group, 73% of companies in America with less than 1,000 employees plan to buy tablet computers over the next few months, showing that it’s not only large organisations investing in such devices. A significant amount of companies have also spoken of their want to invest in iPads in particular. Not only is this level of interest keeping developers who specialise in mobile app development busy, but it’s also creating a significant amount of additional jobs for freelance developers. This, coupled with the fact that more and more smartphones running the Android operating system are being launched, things look set to only get busier. With the workloads of app developers likely to increase throughout the year, it’s no surprise that both developers in this market are getting their very own industry body. The idea for a dedicated industry body is being led by Jon Potter, the former executive director of the Digital Media Association. According to a report by Info World, the aim is to establish an organization that can lobby on behalf of app developers, promoting their interests, while at the same time increasing collaboration, improving education and providing shared product-testing facilities. Is 2012 set to be a bumper year for outsourcing? With the New Year upon us, many companies are now looking at their business processes in order to assess what they can change in 2012. With companies continuing to struggle amidst a challenging economic climate, many are likely to dramatically change how their company operates this year, with outsourcing likely to become the preserve of many businesses attempting to rationalise their cost base. Last year was a record year for companies operating in the outsourcing sector, with a huge number of businesses looking into the concept in an attempt to cut fixed costs and become more flexible. With the ability to drastically reduce fixed overheads whilst maintaining business operations without interruption and providing access to skilled staff, outsourcing has been a lifesaver for many in 2011, which is why the new year is likely to bring a further uplift in demand for outsourcing services; not only in the UK but overseas too. It is thought that the increased interest companies have in relation to outsourcing is due to the many small business that continue to struggle to find employees with the necessary skills. Research carried out by the Federation of small Businesses (FSB) found that 27% of start up companies struggle to find qualified and skilled staff. Outsourcing was also a hot topic in the news last year, and this trend appears to continuing in 2012. In one article in particular, published in the Daily Mail, John Neilson, Managing Director of NHS Shared Business Services, has urged the NHS to outsource more of its call centres to India, to further cut costs; a predicted saving of £20 billion by 2014. With articles such as these featuring in various different publications on a daily basis, it is no wonder that more companies are wanting to know what is to be gained through outsourcing, with there being more of a demand for outsourcing companies than there has ever been before. Established in January 2011, OutsourceMyProject.com aims to bring together organisations and individuals looking to outsource business functions or projects with freelance providers of professional services. Following the website launch, more than 10,000 providers, including freelance web designers, legal specialists, freelance editing professionals and copywriters have registered with OutsourceMyProject.com to bid on over £1 million worth of freelance work. Business iPad Apps are in high demand fueling the future of American businesses. Now BiziPadapps.com has brought you a contest to see which Business iPad apps are the best for 2011. Vote today for your chance to be the winner for Business iPad App of the Year Award. Voting stops Jan 15th 2011. Winner will be announced Jan 31st 2012. Much like the crunchies award but we are focused on just businesses that are leading the way into the future using the Apple iPad apps which can help businesses excel into the future. Apple iPad Apps like Drop Box, Docusign, Square and others are among the few that were nominated. With over 500,000 thousand votes so far find out who the winners are for this years contest of Business iPad App of the Year Award. Criteria for this year: which iPad app contributes to businesses and helps them excel.